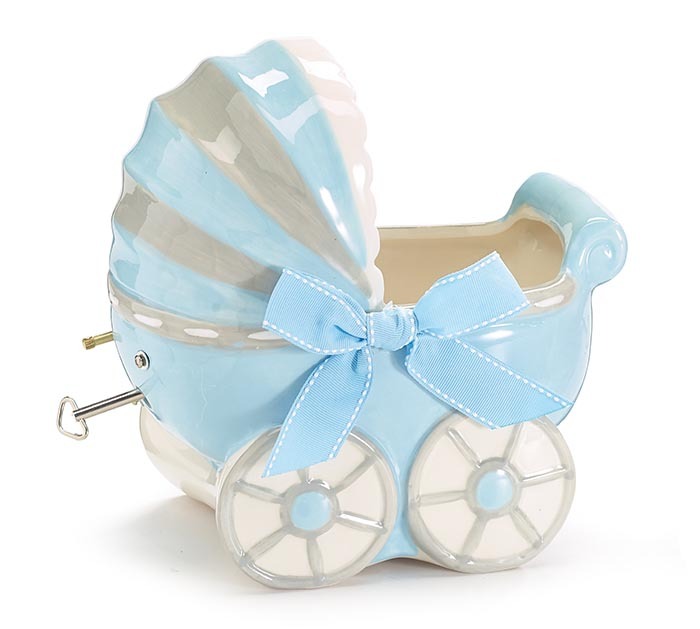 Ceramic blue and grey carriage with a blue grosgrain bow on the side. The music that is played is Brahms's lullaby. Individually white gift boxed. 2 reviews left with an average 5/5 rating. I love this musical boy carriage vase. It has beautiful blue pastel, gray and white coloring. It is large on the inside so it is easy to design a variety of different flowers to make a full looking arrangement. It makes a large arrangement. I use it in my silk floral design.